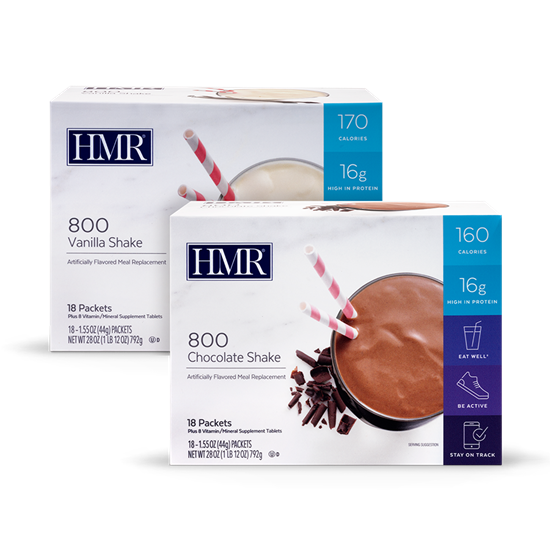 Blends into a rich, creamy shake with higher protein and just a few more calories. Extra Protein in Every Packet! So smooth and rich, it’s almost decadent! Available in chocolate and vanilla, HMR® 800 blends into a thick, creamy low-calorie shake that offers 16 grams of protein in each serving. Multivitamin/mineral tablets included in each box of 18 single-serving packets.